We found 4 episodes of DC Comics News Podcast Network with the tag “gotham”. Josh Raynor, Editor-in-Chief of DC Comics News, sits down with Francesca Root-Dodson, who plays Ecco on the hit series, GOTHAM. We talk about her experience filming Gotham, her fight scene with Camren Bicondova's Selina Kyle, and her relationship with Jeremiah. Enjoy! On this week's episode of the DC Comics News Podcast, Josh talks about the Birds of Prey movie, next year's Arrowverse crossover, Tom King's Batman run, and so much more! We also have reviews of Aquaman and last week's Elseworlds event! DCN Podcast - Episode 10: Ewan McGregor Cast As Black Mask, Arrowverse Crossover News, & More! 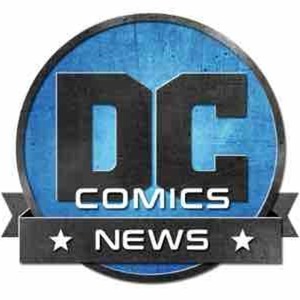 Episode 10 of the DC Comics News Podcast is here! This week, Editor-in-Chief Josh Raynor dives into the last two weeks in DC news, including Ewan McGregor being cast as Black Mask in 'Birds of Prey', Jesse L. Martin taking time off from 'The Flash', and a bunch of news about the upcoming Arrowverse crossover!